TEAM REPRESENTATIVES – Franz TOST (Toro Rosso), Otmar SZAFNAUER (Racing Point Force India), Guenther STEINER (Haas), Frédéric VASSEUR (Sauber). Otmar, first time we've seen you since you announced your deal with Sergio Pérez. Why have you chosen to re-sign him and how has he evolved in the year he has been at the team? Otmar SZAFNAUER: Well, we chose to re-sign him because he’s a fantastic driver. He’s great on Sunday, qualifies well, great feedback and he’s been with the team for quite some time. I think it’s appropriate to discuss all this here at his home race and he’s got a big impact on the team and it’s good to have continuity as well, from one year to the next. The regulations are changing quite significantly next year and a fellow like Sergio with all of his experience will help us in driving the development forward next year. Q: Well, how are preparations for next year going and specifically you’ve now got more financial resource since the takeover. Did that come in time to impact on next year’s car? OS: Yes, it did, just in time for that. It’s hard to know how our preparations are going, because this game is relative, and unless you know what the others are finding it’s difficult to know where we stand. But we are happy with the progress we are making. We were fortunate enough to run a version of next year’s wing in the Hungary test and from that we have learned a lot and it’s given us good direction. Q: Thank you Otmar. Guenther, we’ll start by looking back to the race in Austin. Can you clarify what led to Kevin Magnussen exceeding the fuel limit by 170g? Guenther STEINER: We attacked too much these guys [Force India]. That was the only reason, nothing else. There was no other reason than we tried too hard and until Lewis stopped there was the thought we would get lapped anyway and then we just kept on going and we couldn’t make it up in the last laps anymore. It’s as simple as this, there is not anything else to it. We just tried too hard to get past Ocon. Q: On a more positive note, you’ve recently announced a title sponsorship deal with Rich Energy. Just tell us a little bit more about the deal and how long you have been working on it? GS: We haven’t been working long on it. It came together pretty quick. We look forward to working with them as a partner and to bring new people into Formula 1 is always good, instead of just circulating other people around it, we try to find to new partners, sponsors, for the sport, which is always good. We are working now on the details, because it came together so quick. We have a few things still to sort out but they have gone pretty well and we look forwarding to work with them next year. Q: Will the car look different? GS: No, no details yes, exactly Tom, but it will look different. We will change the livery obviously. Q: Thank you. Franz, coming to you. Let’s talk drivers first of all. Brendon had a good race last weekend in Austin, beating Pierre and earning more points in the process. He’s under a bit of pressure at the moment, so how impressed by his resilience? Franz TOST: He showed a good race in Austin, but nevertheless if you look to the results, he has four points, Pierre has 28 points. That means he has to improve his performance if he want to stay in the team. Q: Let’s talk engines then. Pierre’s engine from Austin has been sent back to Sakura for checks, leading to more penalties here. Frustrating for him and the team but indicative perhaps of how hard Honda are pushing. Have you seen them increase their efforts this year as the season has gone on? FT: Well, first of all, the reason for this power unit change is that after the race in Austin they detected on the power unit of Pierre an assembly issue and therefore they didn't want to take any risks and decided to come here to Mexico with another new power unit. We did two laps, decided to change the power unit to the old specification, only because of this very special altitude here and these conditions and therefore Honda thinks they a better knowledge and experience with their older specification to set all the parameters correctly and therefore Pierre will do the race weekend with Spec 2. Regarding the work of Honda during the year, they have so far done a fantastic job because they have improved the performance a lot, and also the reliability, and I am really looking forward to the last tow races, in Sao Paulo and Abu Dhabi, because there hopefully we won’t have any penalties, and for next year, because they are in the right way and they will improve during the winter months and I’m looking forward to seeing Red Bull Racing and Toro Rosso next year with Honda. Q: Have they exceeded your expectations? FT: They have exceeded expectations with regards to reliability, because we thought we would have much more problems but to be honest we haven’t had any major issues, and also regarding the performance, because with the new specification we are not far away from the top teams. Q: Thank you, Franz. Fréd, coming to you, thank you for waiting. We had Kimi in here yesterday, answering a lot of questions about his victory last time out. A lot of people wanting to know when we are going to see him drive a Sauber for the first time. Can you shed any light on that? Will he be driving at the Abu Dhabi test for example? Frédéric VASSEUR: We are still discussing, but I hope that we are able to take a decision during the weekend regarding Abu Dhabi. Q: That victory last weekend, how important is it for you to have a 2018 race winner driving for you next year? FV: At least it will be a reference, that you are sure that you have someone in the car who is able to make it. It’s important for the engineer just to be focused on the car. 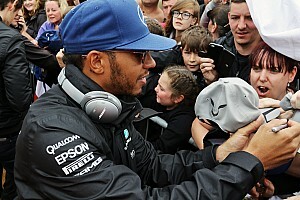 He’s doing it, he did a pole position in Monza, he won last weekend in Austin and for sure it will be a good reference. I think we are still a young team, because we are also turning the company a lot, and to have this kind of leader it will be very helpful. Q: You’re a young team, but you have made big strides this year. How has the progress you’ve made changed your ambitions going forward and what changes are you making at Hinwil to meet those ambitions? FV: I think it’s a long process, step-by-step. We signed a good deal with Ferrari on the supply of engines and then Alfa Romeo joined the company and even if it’s not helpful on track, at least an iconic brand joining the team [means] that we are much more attractive for other sponsors, for recruitment also and step-by-step Simone joined the team and Jan Monchaux joined the team and I think you can’t say that it’s one thing that will completely change the situation but step-by-step we are coming back. We started from Melbourne where we were completely at the back and now we are midfield. It’s always, every single weekend very tight between P8 and P14 but we are in the middle of the range and it’s a huge motivation also for the whole company, because we know perfectly that each time we are bringing something it will pay off on track and it was not the case last year because we were too far away from the last one. But step-by-step we are coming back. Q: Do you feel you have got some momentum now? FV: Yeah, yeah, we’ve showed over the last races that the pace is there for quali, that we are always fighting for Q3. The last races were a bit more difficult, we are too close to the drivers from Haas, and even at the press conference that we are side by side. I will stay away this weekend. Q: (Luke Smith – Crash.net) Franz, you said that Brendon needs to improve his performances if he wants to remain with the team. How long does he have left to convince you about a seat for 2019 and do you have a deadline on when you want to make a decision for next year? FT: Of course. First of all, we have to finish the season to get a clear picture and then I assume in December Red Bull will decide the driver line-up of Toro Rosso. Q: (Frédéric Ferret – L’Equipe) A question for all. With the change of regulation I assume you may have already number on next year’s car. 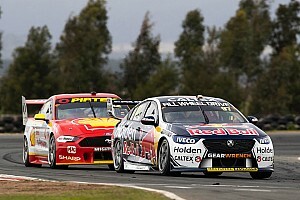 how big is the gap with this year’s car? FV: It’s difficult to have a clear picture today but for sure I think we will improve on the engine. We have still some doubt about the tyres and on the aero package. If you are speaking about the aero regulations, it’s a huge step back. I think everyone is focused to recover. I don’t know when we will recover and if we will be able to overshoot but it looks tricky. GS: Mainly on the aero I guess your question is, with the new regulations. Now the work is going on and to commit now to a number or to a comparison to this year is difficult because there is still a lot of work going on until the launch car is produced but I think it will be close to the launch car from last year when we get there to Melbourne. Q: Otmar, you said earlier that you ran the new wing at the Hungary test? OS: We did and it was a significant step backwards. We’ve got aggressive targets, I don’t know if we will be able to hit them. We’re trying to predict the future as to what we can find, but yeah, it was a massive step back for us. FT: The same for us. But I discussed it with the people in the wind tunnel and as it looks currently they do not believe that overtaking will become much easier, which means there is less dirty air behind the car. Therefore I’m not sure that this regulation change will end up where we expect – that overtaking will become much easier. I think that at the beginning of next season the teams will have reached a similar level on downforce as nowadays. Q: (Scott Mitchell – Autosport) Franz, a question for you again on drivers. I know you said a decision won’t be made imminently. Could you just tell us where you are with negotiations with Nissan, e.Dams over Alexander Albon? Is he still in the frame for next season with you? FT: Of course – but you know negotiations are confidential. I can’t give any details about this. Q: (Dieter Rencken – Racing Lines, Racefans.net) To all of you. Last week we saw two cars excluded for exceeding the fuel limits, namely Haas and Force India. Do you believe this is the right way forward for Formula One – to have drivers restricted by fuel flow and by tyres and whatever? We were talking to drivers yesterday, saying ‘we’ve got to save tyres, we’ve got to save fuel’. Is this really grand prix racing? FT: That’s within the regulation and it’s not new that in Formula One you have to save fuel. Remember back with Prost, was it, at Hockenheim, when he had to push his car when it ran out of fuel. So, it’s within the regulations and you have to respect it. You will never have enough fuel or tyres that you can race, let me say 60 laps all on the limit. That’s simply not possible, yes? We all know this, and it depends then how clever the driver is, how clever the team operates to stay within the regulations. OS: Yes. I guess we weren’t so clever to stay within the regulations – but to your point Dieter, it is a regulation and it’s been with us for quite some time. It’s recently changed – or it will change for next year. I think the total fuel that we get will increase again. But even if you don’t have those fuel limits, we will always be making trade-offs between how much fuel we put in the car, such that we get to the end in the shortest amount of time. Even in the past, where you don’t have a fuel limit. You don’t quite fuel it… you fuel it to the point where your total race time is lowest – and that sometimes means fuel saving. And, to the contrary, if we’re fuel-saving, at a different time to when somebody else is, it could help overtaking. You know, I think Haas maybe didn’t do the fuel saving when they were trying to attack us but if there is a time in the race, and it often happens, somebody’s fuel saving when we aren’t, that’s a good time to attack. So, you see, it can help with overtaking. Just the opposite. GS: I would disagree. I mean, again, we were not clever enough to manage the fuel and I’m not trying to find an excuse for what we did. We fought hard and we deal with the consequences, we are fully OK with that – but I think if we would shorten the race, for example, leave the regulations where they are so we don’t have to spend money to design new fuel cells or whatever, just reduce the race three laps, you would have wide open racing the whole race – and I think there you would have more overtaking than by lift-and-coast. If anybody listens in to radio at the moment, to the drivers, 80 per cent is about lift-and-coast. And again, if somebody then decides to put less fuel in, as Otmar says, it could be part of the strategy, he can decide that – but it’s on his own behalf. If we would fuel to go the whole race, that you can race as the race car is built to do. A race car, in my opinion, is built to race a full race, and not to save fuel. That’s my opinion about racing. And it could be easily achieved. I think nobody would miss if we make the races three laps shorter, where we make a procession anyway because we have to fuel-save. So, again, that’s my opinion on it. I just want to make it clear to everybody I’m not trying to make an excuse for what happened to us last week. We made a mistake and we got the points taken away and we live with that one. FV: I think there are parts in your question. The first one is about the penalty, that is there is a regulation you are in infringement you need to have a penalty. If we are allowed to use a bit more and then the next week a bit more and then the next week a bit more, at one stage you need to get penalised. The second part is about regulation but it was a common decision to have a race based on efficiency. Now, if it’s another matter, you want to race without any limitation of fuel, why not? – but it’s another way that we have to take. Q: (Juan Pablo García Noriega – Capital Motor) One of my favourite moments this season was watching you discussing with Zak Brown when there was a contact between the car and the McLaren. Give us the idea of the pressure you’re under each race? You four guys are going to be fighting for the fourth place next year. What do you have to do, what do you have to try to develop to try to catch the three teams on the top next season? GS: What we have to do for next season? To be completely honest, I think we will not catch them with the regulations as they are at the moment. The gap is too big. And therefore discussions are in place for 2021 to level the playing field with the cost cap so everybody gets back a little bit because it’s very difficult for us – or at least for Haas – to compete with budgets the top three are running. It’s impossible. So next year our focus will be again trying to finish as the best of the rest. That is what we are aiming for. But in the moment, as the regulations are now, the other ones are too far ahead and in my opinion we have no chance – or almost no chance to catch them. Q: (Francisco Alcalà – Global Com Group) Question for Frédéric. Have you talked to Kimi about his expectations within the team for next year – and if so, has he got any involvement with the car’s development for next year? FV: A target, it’s difficult to fix because, as Guenther said before, we know perfectly that the situation is that you have the top three, perhaps Renault is in the middle somewhere and they will have much more resources than us, but then it’s very open. And if you can check from one week to another one, you can be P7 on the grid or P18 or P20. From my point of view the real race is more in the second part of the field. But we can expect to be at the top of the field. Not even every single weekend but we did it a couple of times during the season, and we have to put this kind of target for us. Q: (Alfredo Lopez Ledesma - MomentoGP) We hear some story yesterday that the drivers want on his cars screens in the place of the mirrors. What’s your opinion about this? Is it possible? FV: Yeah, for sure it’s possible. I hope it’s not because they want to watch the TV when the race is boring! Yeah, you can have the camera to have a much better view at the back. GS: I agree. I mean, the technology is out there. It’s already available, the technology, we could do that and I think it’s in discussion with the FIA at the moment. Charlie Whiting is looking into it. If that is a better way to look to the side and backwards, so we see when the Saubers are coming, we can see them and we don’t run into them. OS: Yeah, the technology is definitely there and maybe it will disadvantage those drivers that have good peripheral vision already. I haven’t heard this yet, I haven’t discussed it with our drivers but it’s definitely possible. FT: The technology is here and it’s possible to sort it out and to solve it and therefore why not. It’s fine. 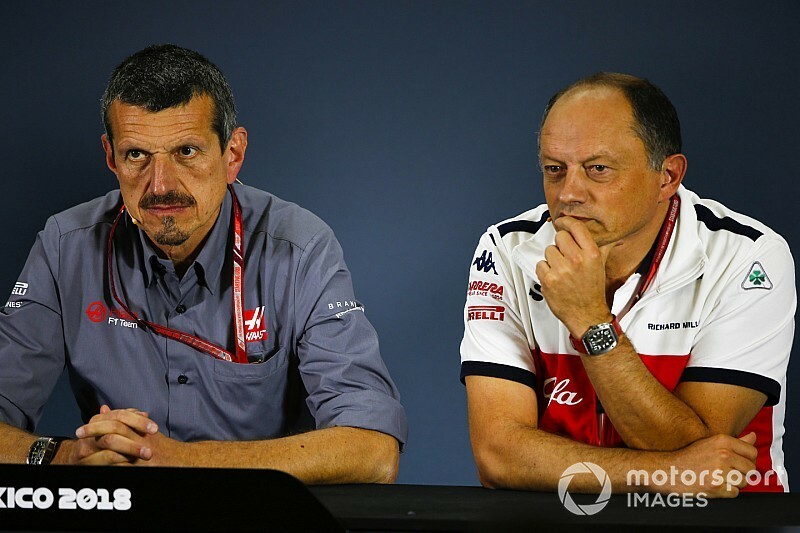 Q: (Fernando Alonso – Motorlat.com) Question for Otmar and Mr Vasseur because already Steiner has given a little short answer about this. What are your expectations about the regulations in the 2021, in the sporting side and commercial side? OS: There have been a lot of discussions recently with all the team and with the commercial rights holder and the FIA to look at making changes that are better for the fans, both from the sporting side as well as from the technical regulations. We’re still in that process of discussing. There’s some good ideas and some ideas that may depart from what Formula One traditionally has been, so we’ve got to really be careful that we make good decisions and always have the fan in mind. I think the significant difference now is that we’re working with more data and more fan-feedback, such that we can hopefully make both sporting and technical regulations that will improve the show. They’re both targeted at more overtaking, more exciting races, and maybe even more action over a weekend. So I think the direction is right. We just have to make sure we make good detailed decisions in order to be able to fulfil the strategy with the tactics. FV: The target of the global future is to increase the show basically. The best way to do it is to close the gap between the cars. If you want to have an exciting race you have to have the guy in P10 be, in certain circumstances, able to fight for the podium. It’s not the case at all that, if you look on the last races, even the guys, the top six, if they were lapped, or they two-stop in the first lap, they were able to come back and to finish in the top six again. The fact to introduce the cost cap is one thing, and to have a better spread in terms of the prize fund, will allow the teams in the second half of the grid to catch up a little bit the gap. But I’m still convinced that it will be difficult for us in 2021 to fight with the top teams – but that needs to be closer. Q: (Scott Mitchell – Autosport) Franz, obviously plan A for Honda would be to introduce upgrades without any penalties or changes but that hasn’t been the case. How confident are you, Franz, about next season being about to do a season on three engines? And for the other guys, obviously Toro Rosso and Honda are being punished for using too many engines but in terms of the spirit of the rules, is that punishment enough when there are so many changes going on? FT: I’m convinced that Honda will improve during the winter months. They are doing a very good job, they are pushing very hard. How many power units then at the end we will be used next year? I don’t know yet. For me, three power units is wrong from the regulation side. We should have the possibility to get more but that’s currently within the regulations and I hope that this will change from 2021 onwards. OS: The reason we got the three is for cost-saving reasons. Power trains are expensive, so we wanted to bring the cost down. Honda started a little bit late but I think they’re catching up fast. I think the regulation is what it is. I would prefer to stay at three because we buy our engines and they’re not cheap so the lower the cost the better. GS: I agree with Otmar. It was decided to do this because of the costs so I think we stay there or at least, if they want to do more engines, the costs don’t go up and Honda and pays for it. Q: (Carlos Alberto Velasquez – Reforma) Otmar, has the team already decided who is going to be the second driver for Force India or is it too obvious? And what does this driver have to be? How has his driving have to be? OS: Well, his driving has to be excellent, otherwise we wouldn’t consider him and I think it would just be courteous to everybody to allow us announce in our own time through the normal channels, so if that’s OK with you, we’ll just do it as we always do: decide on the driver and then announce. 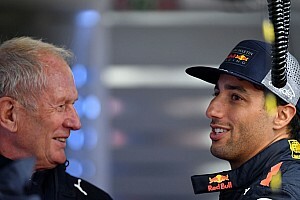 Q: (Dieter Rencken – Racing Lines, Racefans.net) Fred, based on what you said earlier on that if we have this re-set in 2021 you won’t be able to catch up immediately, let’s assume that Formula One does achieve it, does introduce cost cap. You’re only two years away and it looks increasingly unlikely that we will achieve it, but how long will it take before we once again have a level playing field in Formula One? FV: Even if you introduce a cost cap in ’21 or it doesn’t matter, I think that they invested so much on the technical side that it will be quite impossible for us to close the gap immediately but I think in this case we would have some advantages. I think we are used to deal with this kind of budget and they are not and probably at one stage it could be an advantage. But on the first part of the deal, they will capitalise on the advantages they made. GS: I think it’s very difficult to say how long it will take to achieve this because we don’t know what is happening next year to achieve that people close up to others. It will be even more difficult, it is a complete new regulation, sporting, financial and technical in ’21, to make a prediction on that one, so I wouldn’t make a prediction on that one. And I agree with Fred that the big three will have an advantage starting… which is just so big. Also, their infrastructure, what they’ve got there, their testing facilities and all that stuff is just so much more developed than what we have got so they will have an advantage but at least… I think the aim is not that we are going to overtake them in ’21, that we are going to win races but that we close the gap and that everybody has a chance of ending up on the podium or at least fighting for it and keeping all the ten teams, that we put a good show on. That is the aim, that we don’t have these two shows and we don’t really know if we are racing together or not. OS: Well, for sure, performance and development rate are highly correlated to discretionary spend so the more we can cap that discretionary spend I think the closer the field will be. As to how long that’s going to take, I can’t predict that. Q: (Omar Cosio – Ibero 90.9) Which one, would you say, is Checo Perez’s biggest asset as a pilot? OS: His team! Just a joke. Maybe I can go last because I think I know him better than these fellows. It would be nice to hear what they’ve got to say. FT: His natural speed, his race cleverness, especially regarding the tyre treatment, tyre management. That’s it. GS: I would just say that he’s just a good driver. I don’t know… Otmar for sure knows more to say about him but I think he’s well respected in Formula One and he’s part of it and he deserves a place in Formula One. That’s my opinion of him. FV: You know it’s difficult to have a clear picture of your driver, of my drivers, to know exactly where they are doing well, where they are doing wrong and I won’t have the capacity to make any judgement on Checo. Even if you have a look at the last five years or ten years that he’s racing and he’s very consistent, he’s always there. For sure he’s a very good one but it’s very difficult from outside to have a clear picture. OS: Well, apart from his team, he has a multitude of great attributes as a racing car driver but if I had to chose one it’s his racecraft on Sunday, it’s outstanding. F1's hypersofts like "driving in the wet"